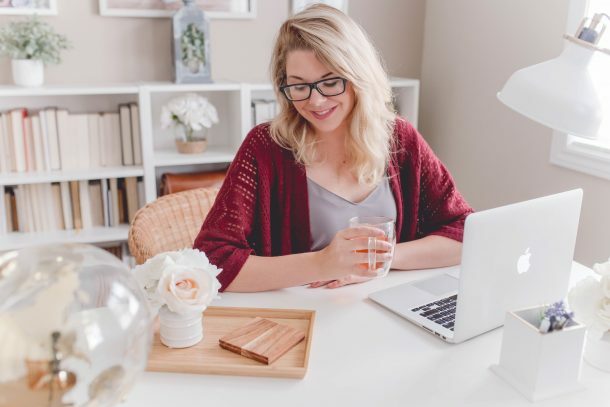 Now that you have decided to start your digital mumpreneur journey, the first step you will need to do is to set up your own working space – your Digital Mum home office. It will be important to set a divide between your personal space and having a dedicated working area where you can focus on building your digital business. I believe that not only will this increase your productivity but it will also send out a clear message to your family about the importance of this space. They will know to give you five minutes of peace when you are seated in your home office space. First, you will need to define that home office space. If you are lucky enough to have a spare room in your home that perhaps has become cluttered with all the family junk over the years then now is the time to have a good clear out. If on the other hand you need to re-claim an area of the home such as the kitchen, lounge, dining room or bedroom then you will need to really define this area. At the very least you should have a desk area and storage space of your own. I’m afraid that using the end of the kitchen table just isn’t going to cut it as you set off on your digital journey. Having everything set up and ready to go will help keep you focused on learning the skill of how to be a digital mum. Frankly, having to clear up some space each time you want to do some work will eat up into your valuable time and very soon you will lost the motivation and end up giving up on your new digital business before you even get going. Creating a space that encourages you to want to sit down and be in that area is going to be important to keep your motivation going. You need to be able to sit comfortably for periods of time, so a good office chair and desk at the right height is essential. Depending on your space available you will probably have many options about the size and shape of your desk that suits you and fits well. 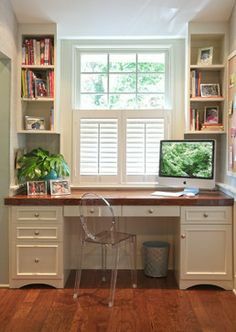 Pinterest is a great site to get some ideas about home office spaces. The most important thing that you need to take into account about your desk is whether it can comfortably accommodate your laptop, space for a printer and the other items that you will need when working. I like to have space to write so my desk is large enough to enable me to move my laptop over when I am writing on paper to plan out my day and goals for the day or week. When choosing a chair don’t compromise on cheap ideally you want a chair that is ergonomic and comfortable. Your posture is going to be important here, after all who wants to be a hunched up digital mum? Keep your desk clear and clean. Having a clean space helps to prepare you each day for the digital task. I keep items on my desk to a minimum and store things in the drawers so that they are within easy reach. I have a landline phone, pen holder and three small Buddha figurines to remind me to keep calm and balanced throughout the day. If you haven’t already acquired your own lap top then you will need a basic laptop to get started. The first starting point will be your budget. The next will be deciding on joining the PC brigade or the Apple Mac community. I think these two are like marmite, you either love one or the other. I’ve been a PC gal so far but that’s not saying I may not swing over the Apple Mac as some stage in my digital journey. Many new digital mums start off with a PC and change as they get their business up and running. An essential component of becoming a digital mum is the Internet. It simply is a necessity. You want to look at factors such as the speed and the amount of download limits that will come with different packages and of course the price. 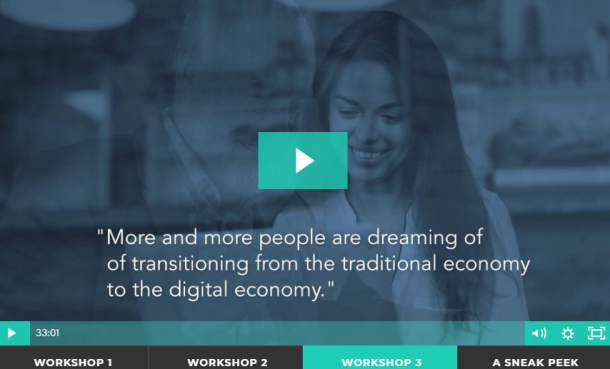 Broadband connection is a viable business expenses so approach this decision with a digital mindset when looking at internet providers – you don’t want to have a service that keeps cutting off or is slow in connecting and downloading. Part of being a digital mum is being able to make contact and keep in touch with the digital world. You will need to make sure that you have a good mobile handset that will enable you in this and help you keep up to date. Again you will probably have to decide if you are an Android type of gal or an iPhone girly and your choice of mobile phone may depend upon the type of laptop that you have decided upon. I find that a white board and cork board are essential in organisation. I also have a paper calendar close by to write all important webinars and key dates (yes, even in the digital world). I am a visual person and whilst I have a digital calendar as well, I feel that nothing beats a paper calendar and writing the important dates helps to keep these triggered in my brain. A whiteboard will help you to keep moving forward in your tasks as these will be clearly marked out in front of you. Keep several whiteboard markers and wipes close by so that you can keep updating this board and don’t have to spend time searching for one each time you want to update it. I love sitting by a window as it helps me to connect with the world outside and not feel so isolated when working in my home office. I am lucky enough to overlook a green and cricket field and over the weekends I can see and hear the excitement of the players in their game of cricket. The window space also helps me to connect with the natural elements. The sun makes me feel alive and when it is raining I am thankful that I am able to work in my home office space. The natural light from the window helps to keep me alert and in touch with the day and the window provides ventilation for when I feel the afternoon slump. Clear clutter from the area and have a good filing system to keep yourself organised. Cables and wiring can look rather unsightly and destroys the Zen and calm feeling. Try to organise the cables so that they are hidden out of sight or at the very least covered strategically to keep you space uncluttered and clean. I love having plants around me and have my faithful Money Plant close by to my desk. Money Plants are great as they require minable attention. Money plants are easy to look after and normally thrive even when neglected – not that I’m suggesting neglecting your money plant. Plants help to provide life, connection with nature and bring balance amongst all the technological stuff that you have in your office. Finally, let you family know that this is your space, and train them so that when you are using this space they soon learn not to disturb you. We will cover time management and how to go about this later on but for now the important thing is sorting and organising your own working space and getting your digital journey started.